John Melbourne, Immediate Past National President. John served in the RCAF from 1953 to 1964, primarily on Search and Rescue units. Upon leaving the RCAF to pursue a civilian career, which has lasted for 40 years, he joined the Purchasing Department of a Canadian subsidiary of Bechtel Corporation, a large E.P.C. (Engineering, Procurement, Construction) Company. He held several procurement positions during his 25-year career with the company, working on numerous construction projects.A complete biographical sketch of Mr. John Melbourne may be dowloaded here. James T. Owens, CD – National President, 2001-2003. Jim Owens was born into an Air Force family in Calgary, Alberta spending the first 18 years of his life as a military dependent in Trenton, Ontario; St. Hubert, Quebec; Moose Jaw, Saskatchewan; Rockcliffe, Ontario; Zweibruken, Germany; Marville, France and Greenwood, Nova Scotia. Upon graduation from Grade XII in Greenwood, he attended Dalhousie University in Halifax, N.S., before completing a four-year Hotel, Restaurant and Institutional Administration diploma program with LaSalle Extension University, Illinois. In 1973, he moved to Penticton, B.C. to accept a partnership in a successful full service hotel and after four years became Marketing Services Director of Casabello Wines, a local Labatt subsidiary. During the early 1070s, Mr. Owens obtained a private pilot?s licence which led to his becoming involved in the Air Cadet movement in Penticton in 1978. 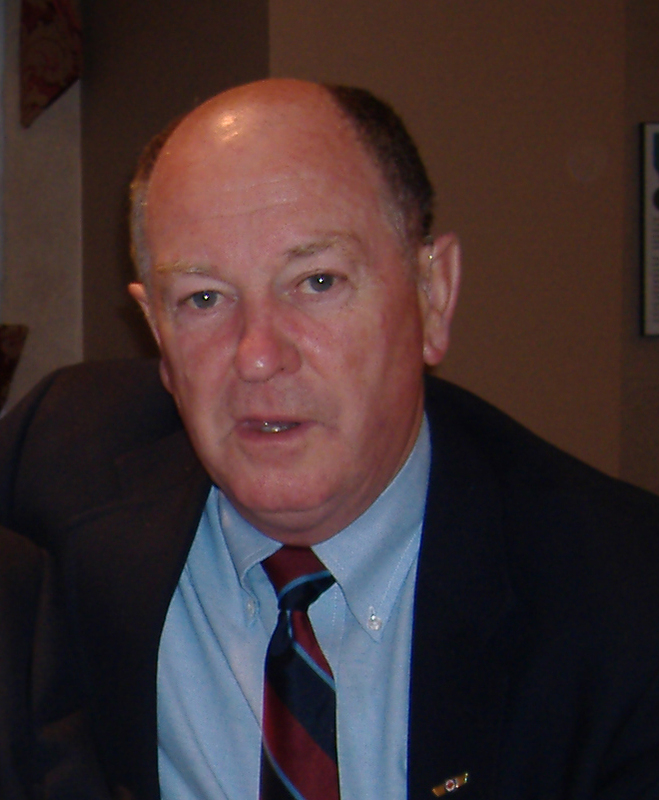 He received his commission as a CIL officer in 1979, served in the Ready Reserve and is currently enrolled in the Canadian Forces Supplementary Reserve. 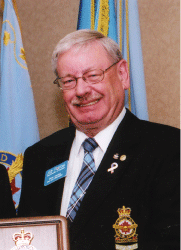 Jim served as the Charter 1st Vice-President of the newly-established 890 (South Okanagan) Wing in 1990-91, and served as Convention Chairman for the 44th A.G.M. of the R.C.A.F. Association in 1991-92, was again 1st Vice-President in 1992-93, and then elected Wing President in 1993-94. Locally, he served as Secretary and Air Cadet Liaison Officer of 890 Wing and continues to be actively involved in all of the Wing?s activities including Air Cadets, fund-raising programs, and Wing social events. Nationally, Mr. Owens served as the Association?s 2nd Vice-President and 1st Vice-President, prior to his election to the office of National President in October, 2001. Under his direction, the 20,000 plus regular and associate members of the Air Force Association of Canada will continue to advocate a strong and professional Air Force for Canada, and actively promote veterans? rights. Mr. Owens and his wife Michelle reside in Penticton, BC. He has been Director of Sales for the City of Penticton?s Trade and Convention Centre. 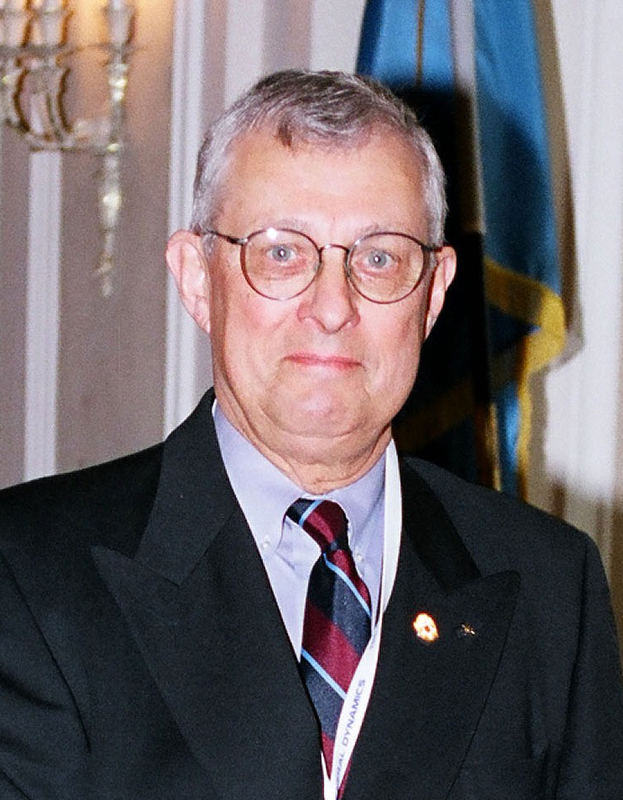 BGen (Ret) Peter DeSmedt, CD – National President, 1994-1996. Peter De Smedt began a long and distinguished 36-year career in the Air Force in 1954. Over the course of his 36 year career, he held many noteworthy positions, including serving as Senior Canadian Officer for Scandinavia and Assistant Chief of Staff combat evaluation at NATO Headquarters, Allied Forces North (NATO) Oslo, Norway. After returning to Canada and retirement from the Canadian Armed Forces, Brigadier General DeSmedt joined Bombardier/Canadair Ltd. and was responsible for the implementation of the military pilot training program in Portage La Prairie, Manitoba. Following retirement in 1993, he returned to Winnipeg. Some of Peter?s other noteworthy accomplishments include: serving as honourary aide de camp to Governor General Edward Schreyer from 1979 to 1983. He has been a past member of the Board of the United Way, Portage la Prairie, a member of the Board of Managers for the Westwood Presbyterian Church (Winnipeg), and from 1982 to 1997, a member of the Board of Directors of the Heart and Stroke Foundation of Manitoba. 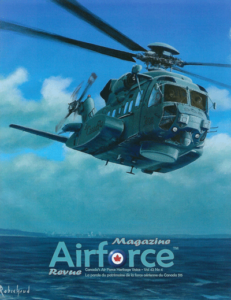 Peter has been a member of the Air Force Association since April 1987, and in October 1994 was elected for a two year term as President of the Air Force Association of Canada. 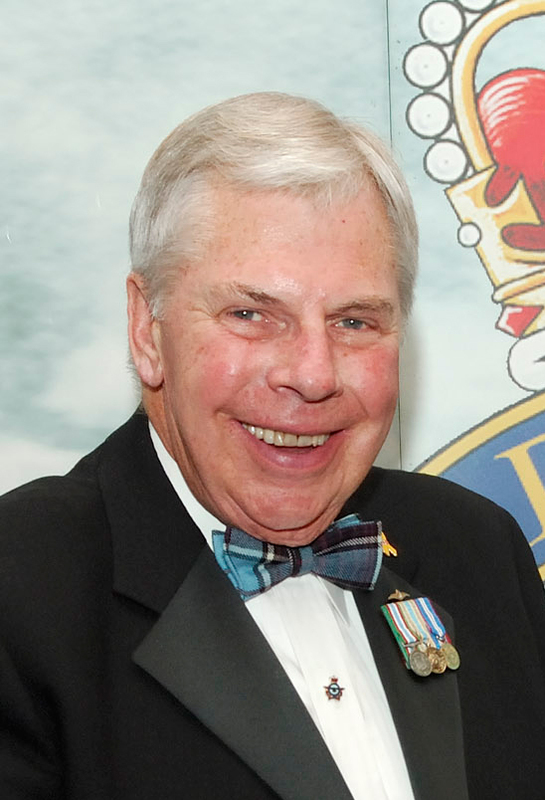 He is currently a director at large on the Board of the Air Cadet League of Manitoba and a member of the Board of Governors Corps of Commissionaires, Manitoba Divison. 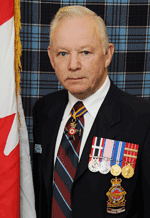 Peter is also a member of the Canadian Forces Liaison Council. On October 28, 1998, Peter was elected as councillor for the ward of St. Charles. Following the inauguration at City Hall on November 2, 1998, he became the Chairperson for the Standing Policy Committee on Public Works. From November 3, 1999 to Nov 2000 Peter served as the Chairperson for the Standing Committee on Planning, Property & Development. On Oct.23, 2002, he was re-elected to City Council. In 2004-2006 Peter again served as Chairperson of Planning, Property and Development. Peter is married to Barbara (Mairs) of Brougham, Ontario. They have two children, Mark and Heather, and eight grandchildren. Peter retired from civic politics October 25,2006. 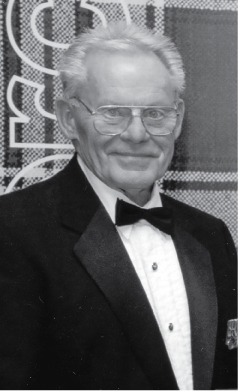 The Summer 1971 issue of Wings at Home announced the passing of Gordon R. McGregor, barely a year following his appointment as the Honorary National President. RCAF Assn. Grand National President Gordon R. McGregor, CC, OBE, DFC, LLD. Former fighter pilot and wartime commander of 126 TAF Fighter Wing of 2nd Tactical Air Force he won fame in civilian life as the outspoken President of Air Canada. Winner of the Webster trophy for the best amateur pilot in Canada for three consecutive years in the mid-30’s, he joined 115 Auxiliary Squadron RCAF in 1938.